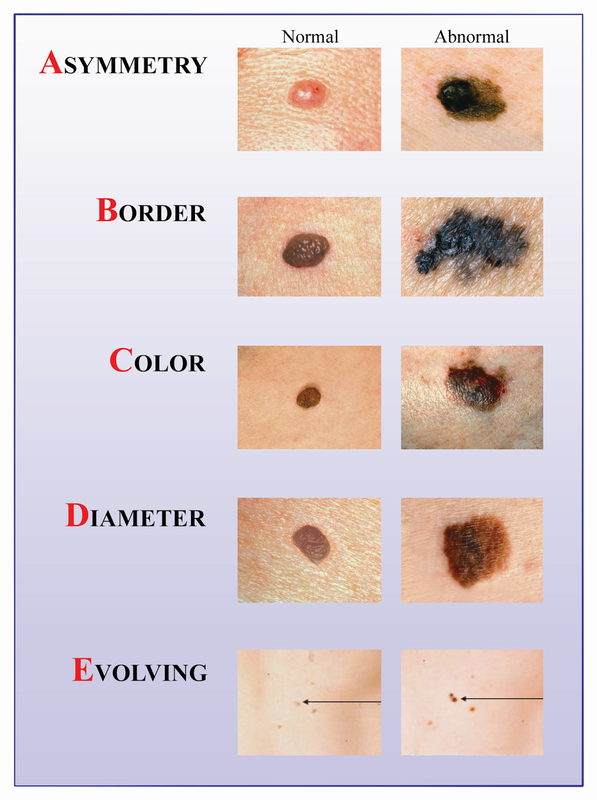 Remember the ABCDEs of Melanoma! (A)Asymmetry: One half of the area does not match the other half. (B)Border: The edges are uneven or ragged. (C)Color: The color is not the same all over and may have more than one shade or color present. (D)Diameter: The size is larger than a pencil eraser (6 millimeters). If you are worried about a spot, call 1-877-816-3376 or click here for a full body skin check appointment with our Board Certified Dermatologist, Dr. Paul Stevenson. Important New UV Protection For Your Eyes Are you over 40 and been told that LASIK is not the best procedure for you?